We know that Robert Semple, Governor of the Red River Settlement, was the man who led his men out from Fort Douglas to meet the party of Bois Brules [*] who, led by Cuthbert Grant, were coming to attack the fort. We know that he and twenty of his men were killed by the Metis and that today there is a monument on north Main Street in West Kildonan, a suburb of Winnipeg, to commemorate the massacre of Seven Oaks. There is a Governor Semple School and there is a street called Semple Avenue in West Kildonan. But our history books do not tell us much about his early life. Robert Semple was a man destined to be on the spot when exciting events were happening. He was born in Boston, Massachusetts, in 1766. He was a boy there when some young men dressed up as Indians dumped a cargo of tea into the bay; the famous Boston Tea Party. Because his parents were opposed to the American Revolution, they were imprisoned for a time by the Revolutionary forces. He was seventeen years old when the treaty which established the independence of the American Colonies was signed. With his family he went to England where he took a job with a firm of merchants who traded throughout the world. In the course of his business he travelled to many parts of the world in which stirring events were taking place and he wrote books about what he saw and learned. In 1802 he visited Capetown in South Africa and journeyed inland. During the Napoleonic Wars, England had seized Cape Colony, but in 1802, the year of Semple's visit it was returned to Holland and remained in the hands of the Dutch until 1815. There is no doubt that readers in England were interested in the book, Walks and Sketches at the Cape of Good Hope, which Semple published on his return. In 1805, Semple was in Spain. That was the year of the Battle of Trafalgar and again he wrote a book, Observations on a Journey through Spain and Portugal. He was in Spain again in 1808, the year Napoleon put his brother Joseph on the Spanish throne. The next year he was in Portugal, the year that Sir Arthur Wellesley, later the Duke of Wellington, was made Commander of the British forces which were fighting in the peninsula against the forces of Napoleon. Again he wrote a book, A Second Journey into Spain. Semple was in Venezuela in 1810 when the revolution against Spain began there, and he recorded his observations in A Sketch of the Present State of Caracas. When he was travelling in Germany from Hamburg to Gothenburg in 1813, he was mistaken for an American spy and arrested by the British authorities. That was the year of the Battle of Leipzig when Napoleon was defeated by the forces allied against him. This was his second serious defeat; the first followed his disastrous march to Moscow. The next year Semple published Observations Made on a Tour From Hamburg Through Berlin to Gothenburg. 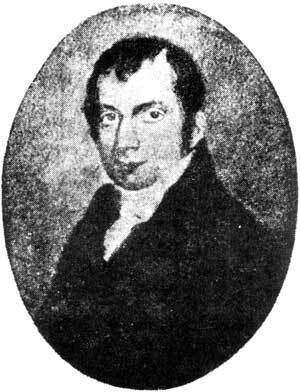 Semple came to the Red River Settlement in 1815 and on June 19, 1816 he was killed by the Bois Brules at Seven Oaks. We wonder what difference it might have made to the development of our country if Robert Semple had lived to return to England and publish another book on his experiences. What would he have said about the Red River Settlement? Would the people of England have read his book about this remote land? * To avoid possible confusion regarding the names Metis and Bois Brules we offer the following information by way of explanation. The name Metis has always been used to indicate persons of mixed white and Indian ancestry, particularly the large French-Indian group to whom it was first applied. However, for a period of years, notably during the hey-day of the Northwest Company, the name Bois Brules (Burnt Wood) was very commonly used. It was in the nature of a "nickname" and was frequently used by the Metis when referring to themselves. The name Bois Brules seems to have waned in popularity and general use after the amalgamation of the two fur companies in 1821, although Martin McLeod in his journal refers to the "Brules" as late as the year 1837.